The United States of America is famous for many beaches, but to decide which beach is the best your family vacation is really very tough because there are so many to choose from. Beaches such as Big Island, Maui, Honolulu, the Virgin Islands, Miami Beach, San Diego Beaches and Myrtle Beach are very beautiful in different ways. So how do you choose which to go to? 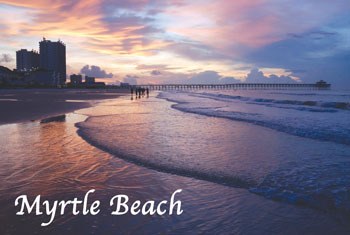 Myrtle Beach’s sandy shores are irresistible for a weekend getaway. Besides the quiet solitude of the sand and sun, you have the opportunity to learn how to surf, discover inlets on the shores on a kayak, or watch the wonders of the Atlantic Ocean from below on a skin diving expedition. In the U.S, San Diego has a mesmerizing beauty and is the best holiday location with consistently sunny weather all year round. Beaches, nightlife and wonderful food are the main attraction for couples wishing for a memorable honeymoon or a wonderful weekend. Get a tan and have fun with water sports here. Hawaii has a jaw dropping beauty that is unparalleled within the continental U.S. This is destination for all kinds of travelers, from honeymooners, a trip with your friends or a family weekend because it has a numerous islands in which to visit. All of these islands make it a great holiday spot for all different kinds of people. Maui, Oahu and Kauai tend to attract people for all kinds of getaways. They’re perfect for something romantic, a nice family vacation, surfers, party seekers or even thrill seekers. Just imagine, you could be at one of the many Maui Condo Rentals right now enjoying some fun in the sun. 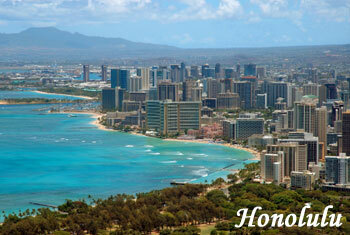 Honolulu is situated in the island of Oahu in Hawaii. Among the various other beaches in Hawaii, it is widely considered the most beautiful and sprawling. White-sand beaches play a big role in its high demand in U.S. The Big Island boasts everything from black sand beaches to snow-covered peaks, from hardened lava deserts to steamy and lush rainforests. The best time to visit Hawaii’s Big Island is between September and November. Trust me, this is not something to miss! Moko jumbies dance of the carnival parade is associated with the U.S. Virgin Islands. St. Thomas, St. John or St. Croix all together form the U.S. Virgin Islands. Here one can find peace and serenity and commune with nature after the hasty lifestyle of modern days. It is a location with the essence of nature and luxury. Miami Beach is a resort city in Miami, Florida, Miami Beach is seen as a trend-setter in the arts and as well as a Mecca for entertainment, and a shopping and cultural wonder. Miami Beach has always been a tourist-friendly vacation hot spot, but the city now offers so much more.